Busworld Europe 2017 was held for the last time at Kortrijk, Belgium, on October 20-25. Opening its doors to the stakeholders of the bus industry the world over, the 24th edition of Busworld Europe 2017 was held for the last time at Kortrijk, Belgium, on October 20-25. With temperatures hovering between 16 to 20 degree Celsius, visitors from the warmer regions of the world were in for a pleasant surprise. Kortrijk was never this warm some frequent visitors were overheard saying. If comments like these hint at global warming, they also point at the need to cut down emissions, and deploy greener mobility solutions. As if in response to this, the highlight of Busworld Europe 2017 was a diverse display of safe, efficient and green buses. Held over an area of 51,240 sq. m, Busworld Europe 2017 attracted 37,241 visitors. The premier show attracted 376 participants. Expressed Mieke Glorieux, Exhibition Director at Busworld, that the fair was moving to Brussels from the next edition. 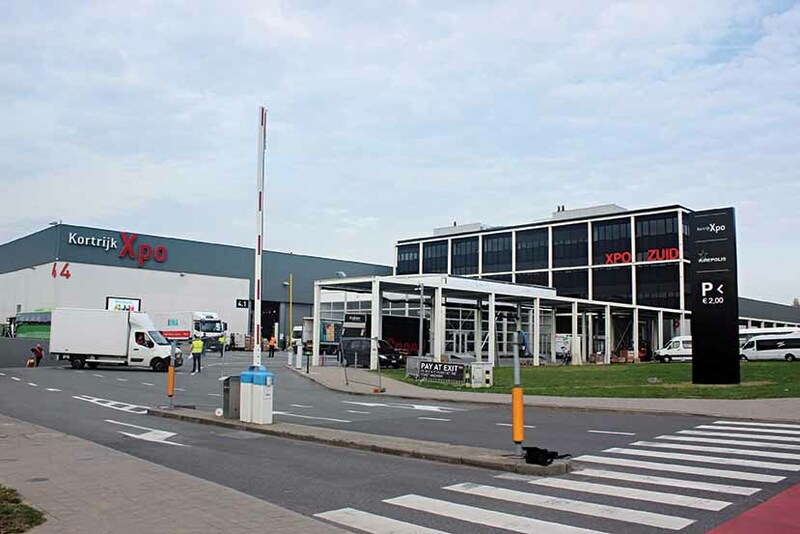 With the 24th edition of Busworld to be held in Brussels, participants could look forward to occupying twice the exhibition area of what they have been availing at Kortrijk. Despite expanding over an artificial pond to accomodate as many exhibitors as it could, the organisers were compelled to turn down the request of 90 companies. Reflecting upon the most recent and the best in buses, Busworld Europe 2017 had 231 vehicles in exhibitor stalls. With more buses than coaches on display, the biennial show, for the first time, put on display 80 vehicles outside the premises. Said Glorieux, “We have had an overwhelming response from exhibitors. We have had 90 companies on the waiting list. We ran out of space to the tune of 10,000 sq. 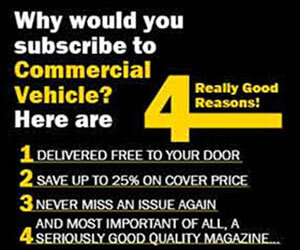 m. We have lost an opportunity.” Hoping that they will run short of space at Brussels as well, Glorieux stressed upon a healthy growth Busworld has been enjoying show-after-show. At the core of the Busworld exhibitions that are held the world over, including India, Busworld Europe continues to be the most popular. 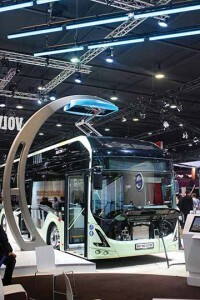 It reflects upon the changes the bus industry the world over is going through like no other. Highlighting sustainable mobility solutions and last mile feeder solutions, the organisers of Busworld Europe 2017, in association with UITP (International association of public transport) organised an International bus conference to advocate the benefits of public transport. The introductory session of the conference delved upon electrification of buses and coaches, and how the same could be mass produced. Drawing attention to research and innovation projects like ‘ZeEUS’ and ‘Ebsf’, the conference focused on ‘true’ sustainable mobility solutions. Over 450 delegates attended the conference. 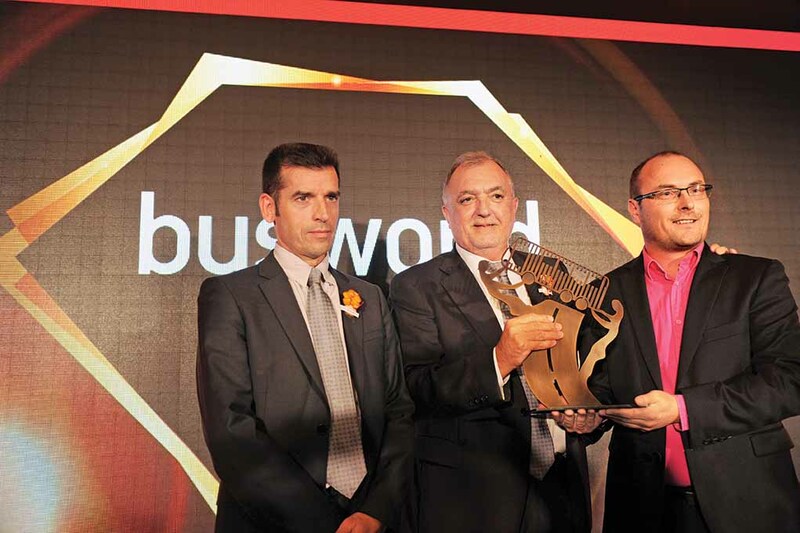 The Busworld Awards night (erstwhile European Coach and Bus Week) saw leading bus and coach manufacturers win awards across various categories. 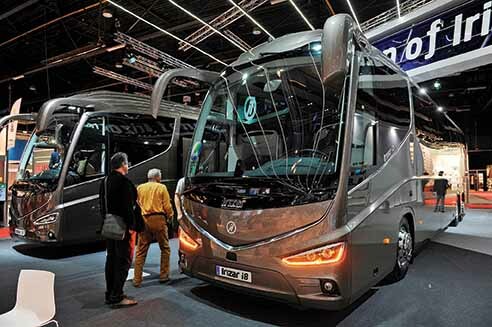 The Irizar i8 coach won the Coach of the Year 2018 award. 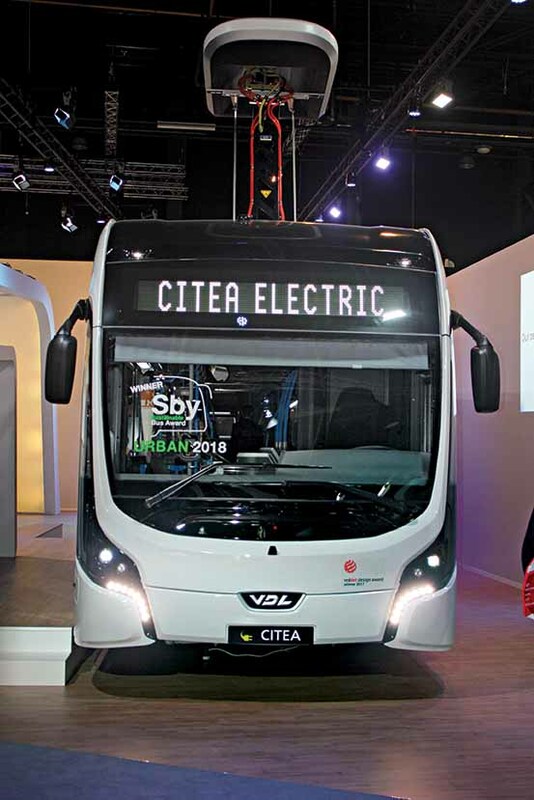 VDL Citea Slfa Electric won the ‘Sustainable Urban Bus 2018’ award. 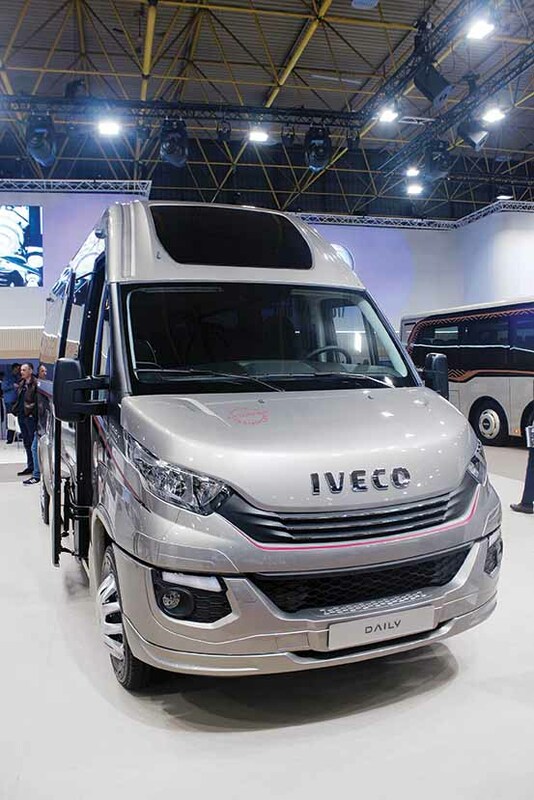 Iveco Crossway LE Natural Power won the ‘Sustainable Intercity Bus 2018’ award. 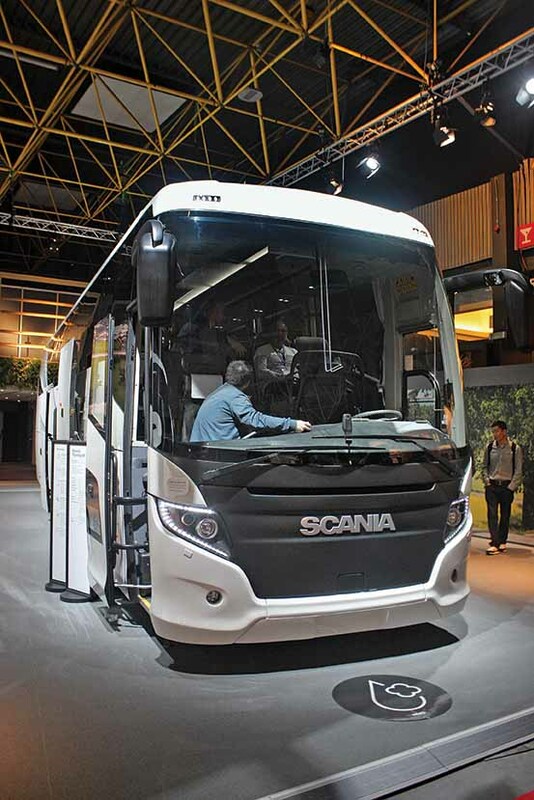 Setra S 516 HD/2 won the ‘Sustainable Coach 2018’ award. MAN Lion’s Coach won the prestigious award in the coach category. 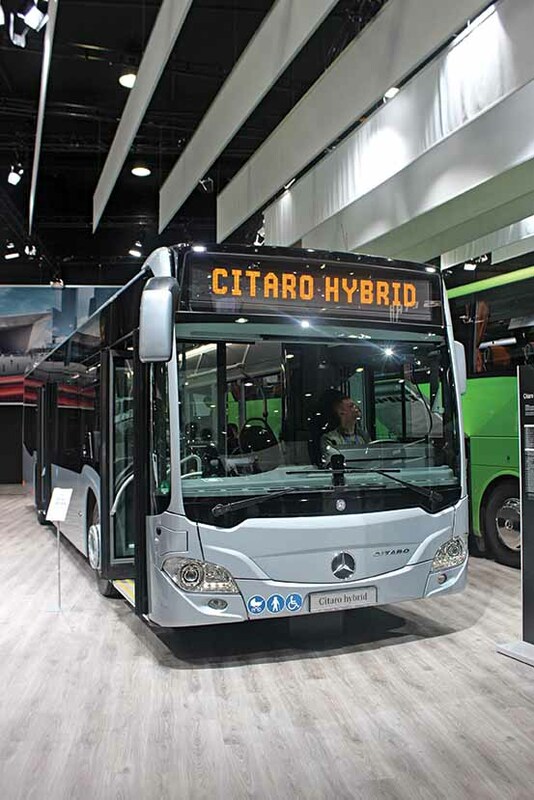 Mercedes-Benz Citaro hybrid of Daimler buses won an award in the bus category. 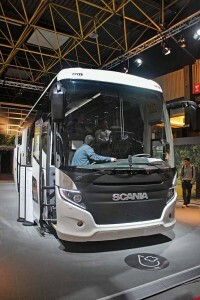 Iveco Crealis and MAN Lion coach won award under the ‘comfort’ category. 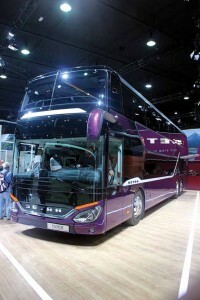 The design label award was won by Mercedes-Benz Tourismo M/2, BMC Neocity and MAN Lion coach. In the area of safety, the Tourismo M/2 and Citaro hybrid won awards. 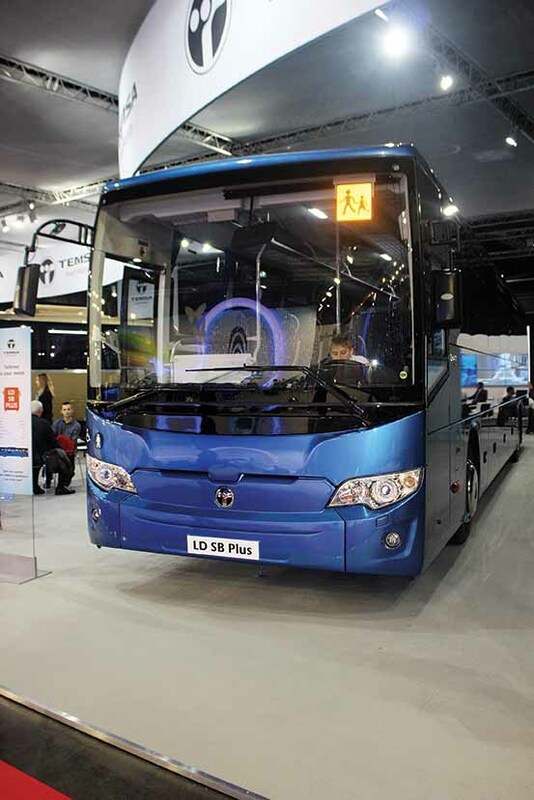 In the ecology category, the VDL Citea SLF-120 Electric and Yutong E12 won an award each. Alstom Aptis won the innovation award. The India Day marked a round table conference at Kortrijk. Discussion centred on India’s passenger mobility, and attracted bus and coach industry stakeholders. 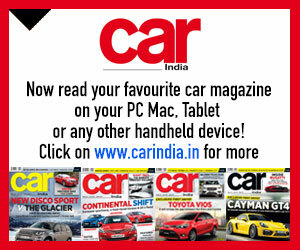 Ananth Srinivasan, Senior Consultant – Mobility, Frost & Sullivan, expressed that the mobility market in India is booming. “There’s huge potential,” he mentioned. 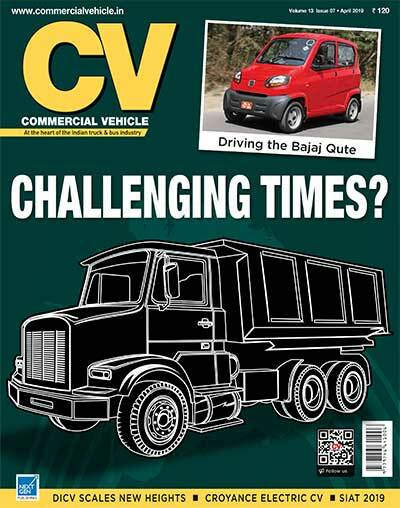 Drawing attention to the opportunities that global manufacturers could tap, Srinivasan averred, “The liberal policies of the Indian government are boosting the bus and coach industry growth. This is particularly the case with staff and school bus segments.” Drawing attention to a 2014 report sourced from the Planning Commission, ‘Transporting India – a 2032 projection’, Srinivasan said that the Indian bus and coach market peaked in 2000. After experiencing a dip in 2014, sales have continued to pick-up, and are largely driven the staff and school bus segment, he said. 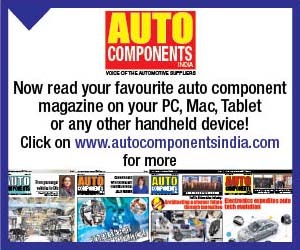 By referring to a recent study by the Society of Indian Automobile Manufactures (SIAM), which expects growth to continue for the next three years, Srinivasan mentioned that growth is expected to follow policy changes in the run up to Lok Sabha elections in 2019. Attributing demand in the Indian bus and coach market to inter-city transport space, Srinivasan expressed that inter-city fleet replacement (with State Transport Corporations at the fore-front) accounts for 20 per cent of the market. School, labour and sub segments amount for 15 per cent, he informed. Bucking the trend of cyclic demand, Srinivasan stated that operators are buying buses even during the off-season period. 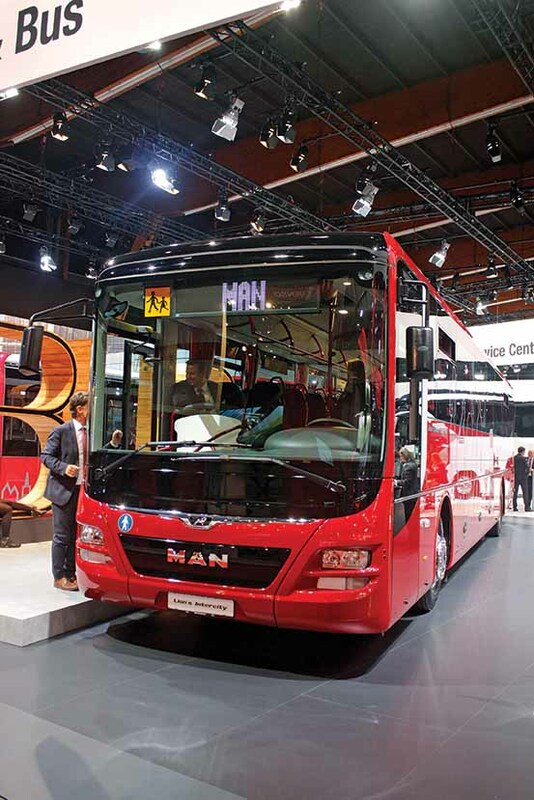 Describing the bus and coach market trends in India as positive, Akash Passey, Senior Vice President, Business Region International, Volvo Bus Corporation, expressed that they are yet to see actual industry growth. 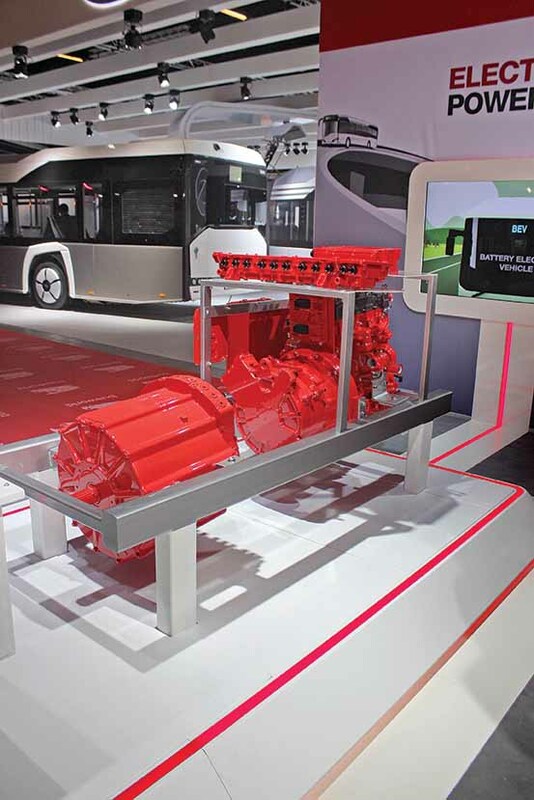 “The challenge,” said Passey, “is to transition from high volumes to high quality.” MG Group executive director Prakash Kalbag stressed on the market’s progression from building bodies on truck chassis to building bodies on dedicated bus chassis. He drew attention to the government encouraging standardisation. Remarked Kalbag, “Bus building has been brought under the Central Motor Vehicle Act.” A Scania Group representative averred that the bus and coach market in India is yet to take off in terms of safety and quality. Under the ‘Mobility of Tomorrow’ theme, MAN Truck & Bus AG displayed five buses at the Busworld. The Lion coach was the highlight of the display. The Lion coach is now available in 13 m length, and can seat six more people. 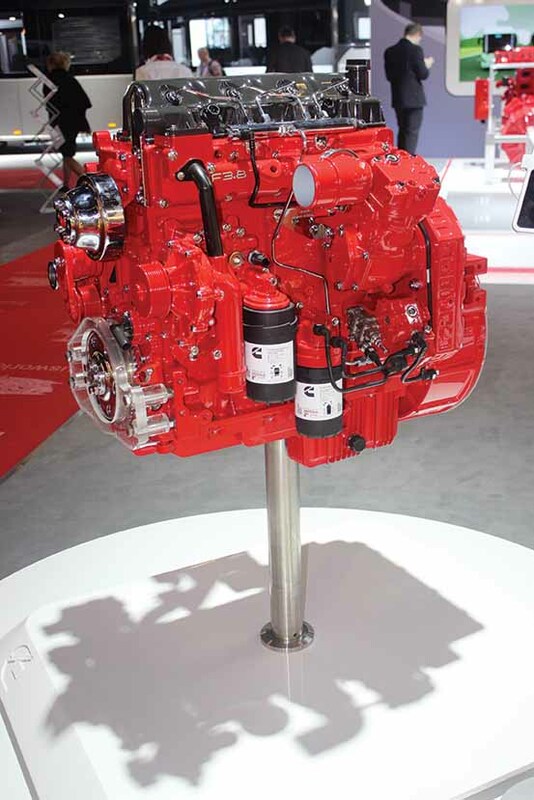 Powering the coach is a 460 hp (D2676 LOH) six-cylinder diesel engine. 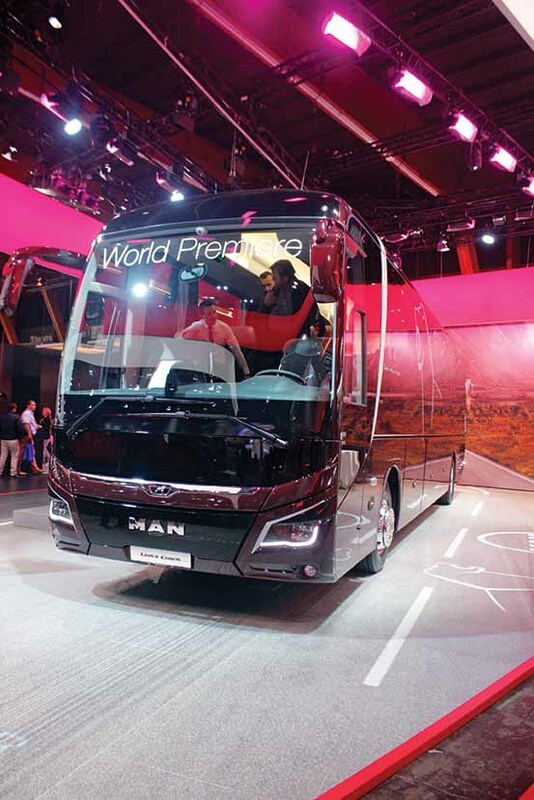 Complying with ECE R66.02 safety standards according to Jan Aichinger, Vice President, MAN Truck & Bus AG, the Lion coach offers ‘efficient cruise’, ‘efficient roll’ and ‘attention guard’. MAN also displayed the Lion Intercity and City Hybrid. 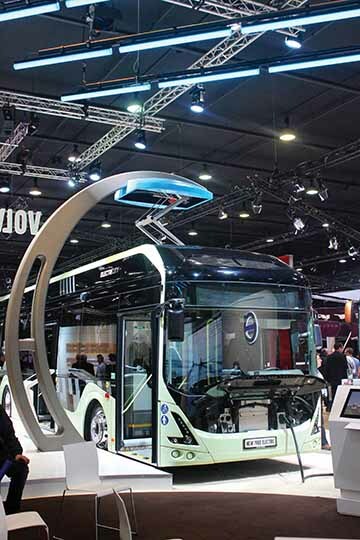 With electromobility and safety as a theme, Volvo Bus Corportaion displayed a 12 m 7900 electric bus with the OppCharge charging system. 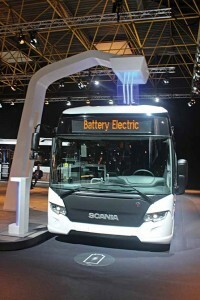 The bus offers superior operate-ability, courtesy a higher battery power (three times more) of 250 kWh. The earlier model came with a 150 kWh battery pack. Offering a host of charging options, the 7900 electric bus reflects on the direction of bus technology development. 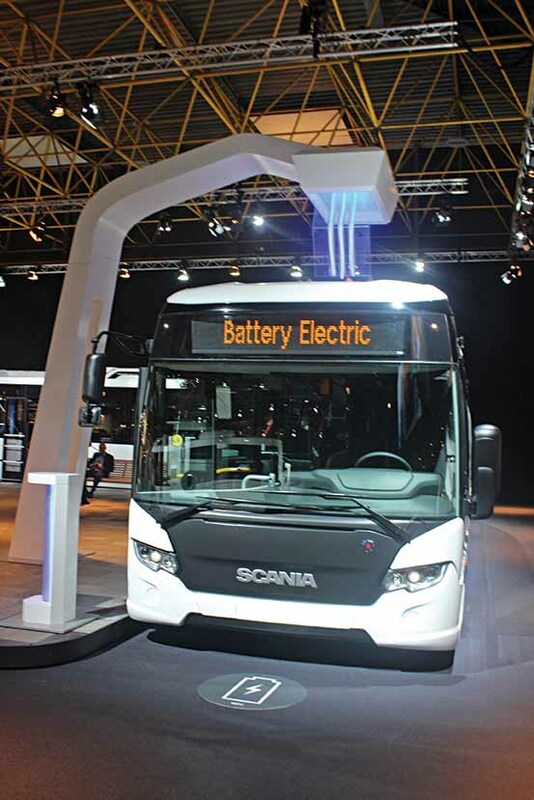 Premiering ‘Thinking Bus’ tech (about how a bus can think and learn from its surroundings), Volvo showcased dynamic steering technology, pedestrian and cyclist detection technology, and bus docking solutions. 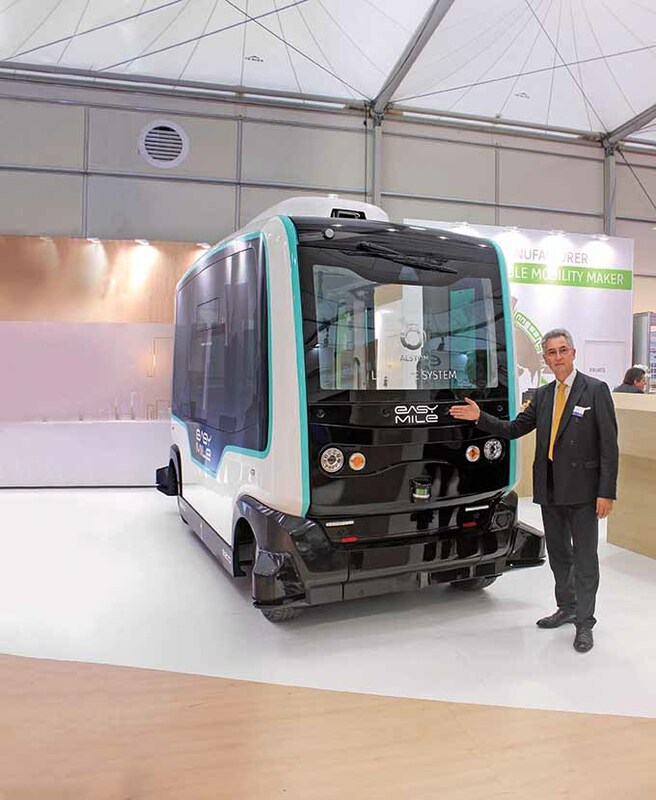 Highlighting its intention to test electric articulated buses in Gothenburg, Hakan Agnevall, President, Vovo Bus Corporation, expressed that Euro5 and Euro6 technologies are the most sustainable from an environmental, financial and social point of view. 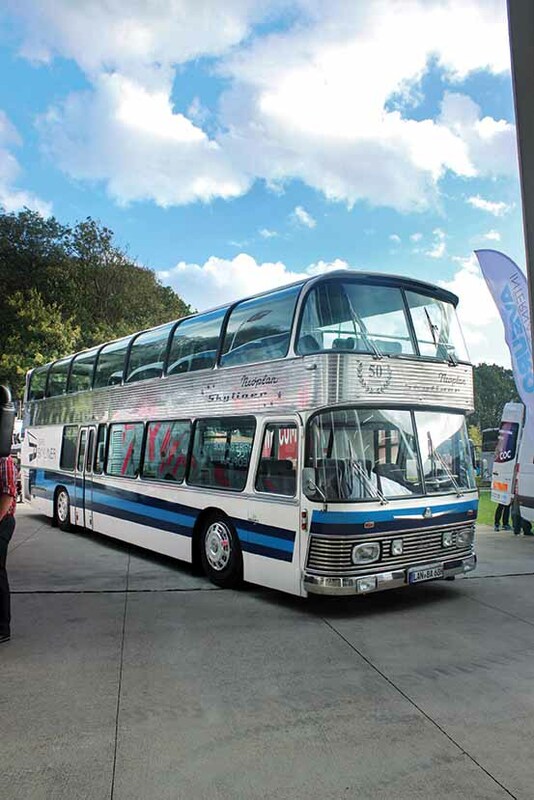 The theme at Daimler Buses was safety, economy and comfort. 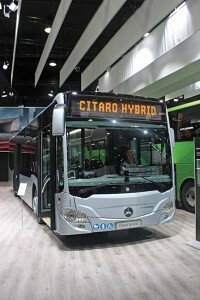 The company premiered the Citaro Hybrid urban 12 m two axle bus; Tourismo right-hand-drive high-deck touring coach (two and three-axle); left-hand-drive Sprinter City 45 13-seat mini-bus. The Setra S 531 DT double-decker bus (Top Class 500) also debuted at the fair. Showcasing active brake assist and pedestrian detection tech, Daimler announced Omniplus, a service for Mercedes-Benz and Setra buses. Said Martin Biewald, CEO, EvoBus, that Omniplus supports efficient fleet operations. 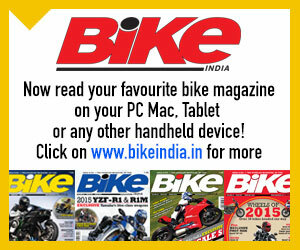 Biewald expressed that they are looking for higher localisation in India. French high-tech start-up company EasyMile displayed the EZ10 electric driverless shuttle. 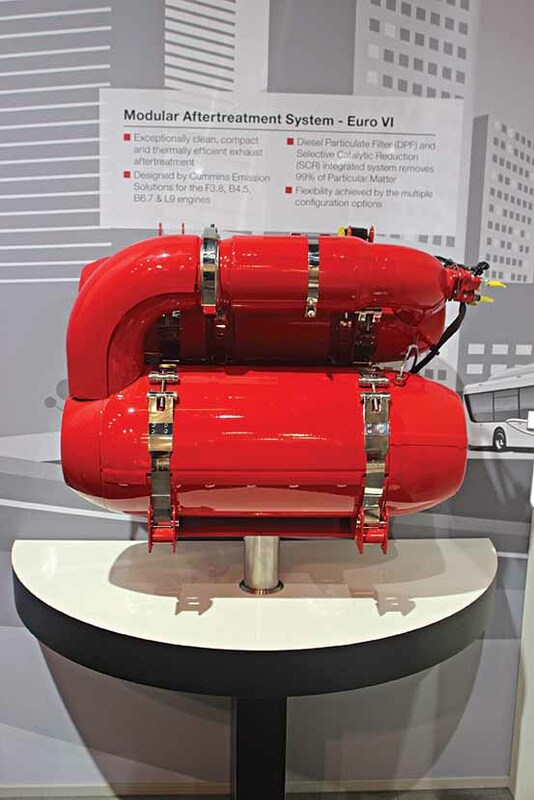 Autonomous, and capable of operating within a precinct or confined area, the EZ10 is aimed at last mile connectivity. The EZ10 is powered by an electric asynchronous motor fed by a Lithium-ion (LiFeP04) battery. Capable of attaining speeds of up to 40 kmph, the shuttle, measuring four-metre in length, has no steering wheel nor a front and rear. Either end of the shuttle can act as a front or the rear. Capable of changing the direction of travel, the EZ10 can accommodate 12 passengers (six seating and six standing). Easymile claims that the EZ10, since 2015, has been deployed at more than 50 sites, in 14 countries across Asia, North-America, Middle-East, and Europe. Emphasising on alternate fuel technologies like natural gas, bio-gas, ethanol, biodiesel, and Hydrotreated Vegetable Oil (HVO), Scania showcased the 12.9 m HVO ‘Touring HD’ bus; 14.9 m bio-gas ‘Citywide LE Suburban’ bus; electric ‘Citywide LF’ bus; 13.2 m biodiesel/HVO ‘Interlink LD’ bus, and a 12.8 m HVO ‘Interlink HD’ bus. Keen to offer tailor-made solutions to address the needs of different markets, Christian Levin, Executive Vice President, Sales and Marketing, Scania, mentioned that they want to make public transport safe and attractive. Elctric bus torchbearer, BYD unveiled an electric midi-bus for the European market. First of its kind from BYD, the midi-bus will be made in Hungary, and measures 8.7 m in length. 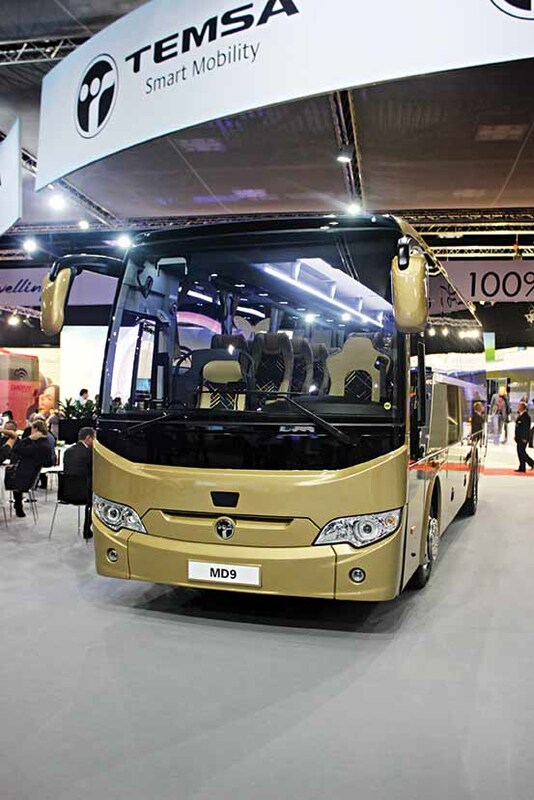 Capable of accommodating 58 commuters, the low-floor midi-bus has a travel range of 200 km on a single charge. 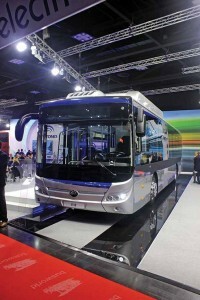 Other than the midi-bus, BYD displayed the 12 m ebus (first BYD vehicle built 100 per cent in Europe). Announced Isbrand Ho, Managing Director of BYD Europe, that others will find it hard to match their integrated supply chain. Stressing upon his company’s design prowess and capability as a battery manufacturer, Ho said, “Anyone without their own battery design capability will find it hard since battery is at the core of an electric bus.” Managing to carve out a significant presence in Europe, BYD is invading numerous global markets with a promise to offer green mass mobility solutions. 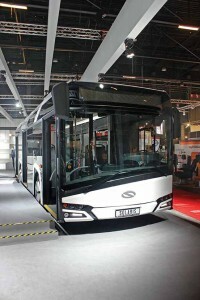 China-based Zhengzhou Yutong Bus Co., Ltd., premiered a 12.1 m electric bus called the E12. Capable of travelling 320 km, the E12 is powered by a 324 kWh lithium-ion battery pack. Accommodating between 23 and 37 people depending on the variant, the E12 makes an attractive bus. Apart from the E12, Yutong also displayed an electric inter-city 12.3 m bus called the Ice12. It has a 270 km drive range, and seats 59 people. It is powered by a 258 kWh lithium-ion battery pack. 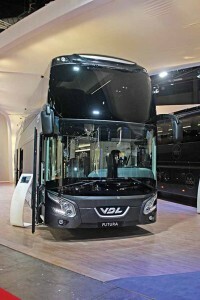 Yutong also displayed a Euro6 12.2 m long T12 grand tourist coach. 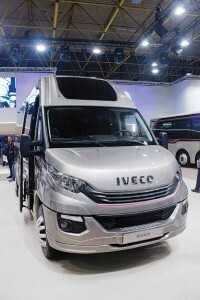 Iveco showcased a new generation Daily mini-bus. Available in school bus guise, inter-city bus guise and tourist bus guise, the Daily mini-bus, in tourist bus guise, measures 7.4 m, and is powered by a 180 hp three-litre Euro6 diesel engine. Iveco also displayed the next generation Daily Tourys, Daily Line and Daily Start. The Daily mini-bus Blue Power range that the company displayed is powered by a natural gas engine. 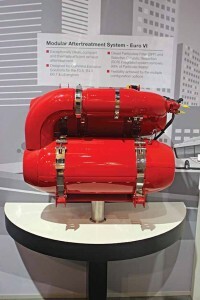 The electric version offers a range of 100 to 160 km with two or three high density sodium nickel chloride batteries that are combined with high-power ultra capacitors. 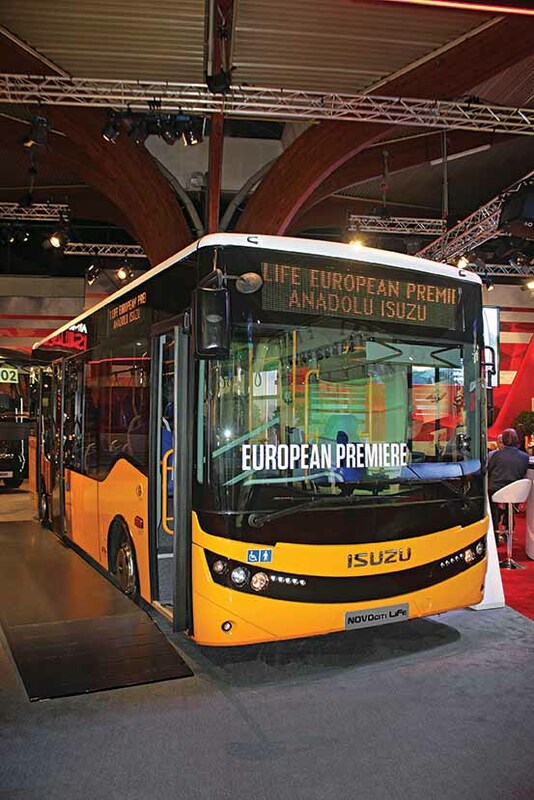 On display were the Iveco Crossway 14.5 m low-entry city and an inter-city bus powered by a Cursor 9 diesel engine. 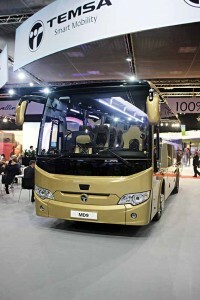 Iveco also displayed the upscale Euro6 Evadys coach, and the Magelys. 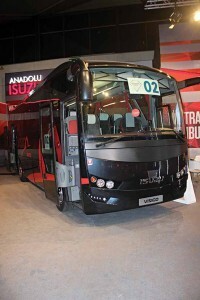 Turkish bus and coach builder Temsa unveiled a MD9 tourist coach and a LD SB Plus school bus. 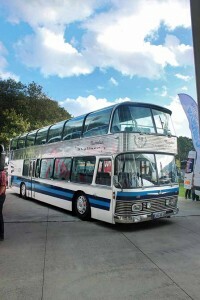 It also displayed the TS45, and the flagship Marathon bus. 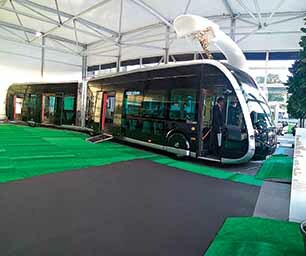 Apart from the HD 12 and MD7 Plus, the company showcased an electric bus called the Avenue Electron. Competing in most segments on the basis of a diverse product range, Temsa, said Acar Kocaer, International Sales Director, is aiming at a 43 per cent rise in exports by the end of this calendar year. 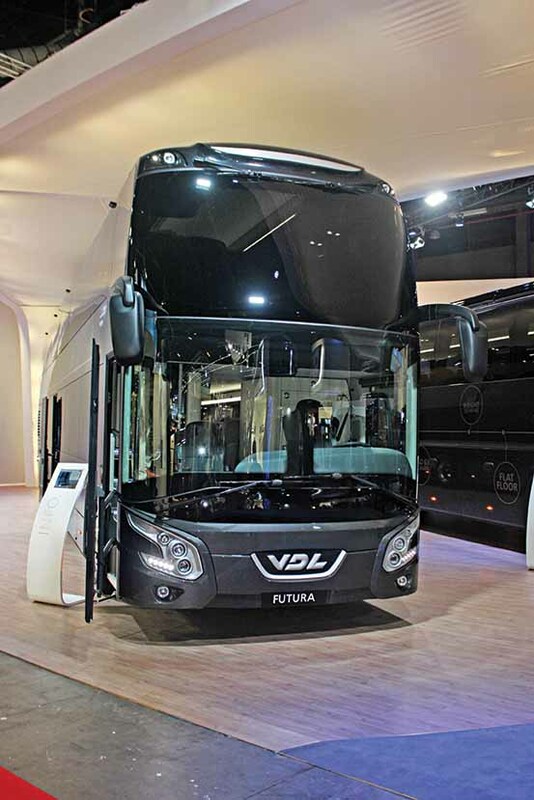 VDL Bus & Coach (VDL) showcased the 12.7 m Citea LLE, 14.1 m luxury Futura double-decker (FDD2-141) and the MidCity midi-bus. Also displayed was a 18.1 m VDL Citea SLFA Electric articulated bus aimed at the Bus Rapid Transport (BRT) system. 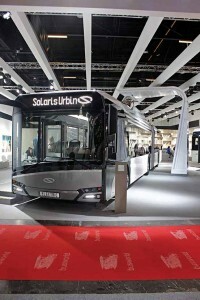 The VDL Citea SLF-120 Electric bus measures 12 m in lenth, and is a low-floor concept bus for urban use. 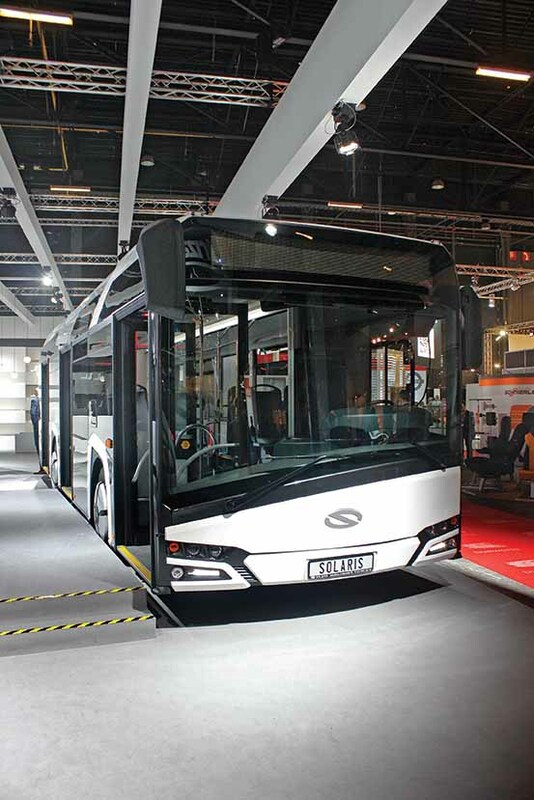 The Citea LLE-99 Electric is a low entry 9.9 m bus with a start-stop function, and an integrated regeneration system. Suitable for city and regional operations, the Citea LLE can avail of rapid charging infrastructure. 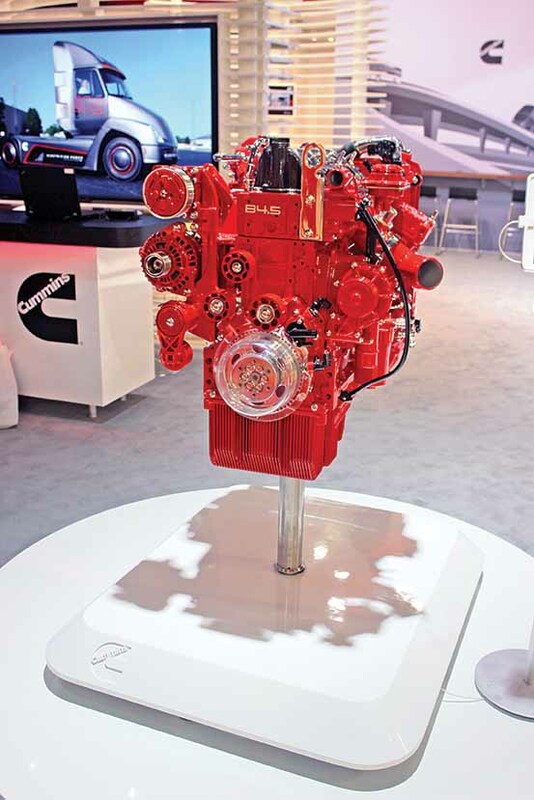 Despite proliferation of electric technology, VDL is confident of diesel engine technology continuing to play an important role in the future. 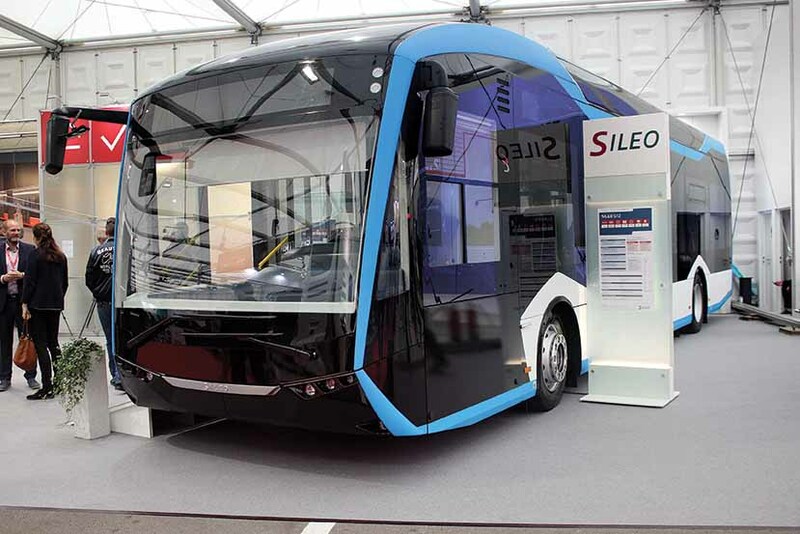 Sileo GmbH showcased a 12 m Sileo electric S12 bus with a travel range of 400 kms. It is powered by a 300 kWh battery pack, and can accommodate 108 passengers. Claimed to consume 0.7 to 0.8 kWh per km, the bus, with an efficiency level of 98 per cent, could be charged by plugging in. 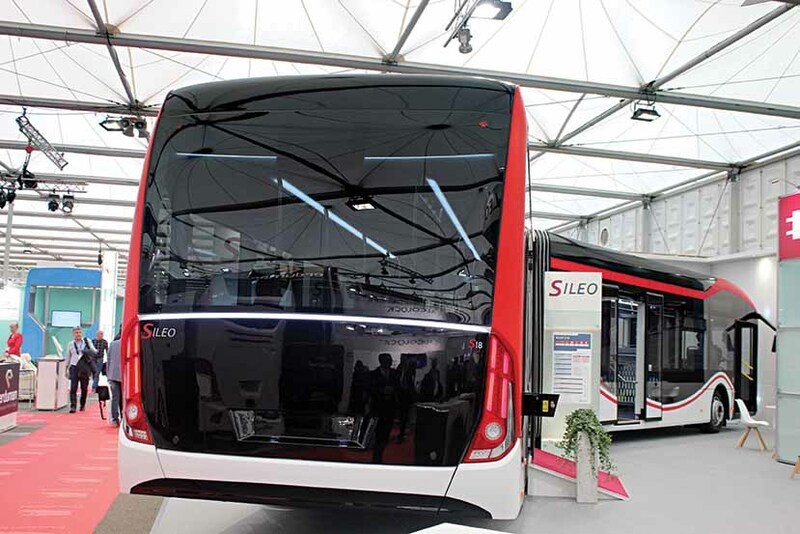 Capable of a top speed of 75 kmph, the Sileo is equipped with Standard Charging Technology (SL), which includes a mobile device to charge a single vehicle. The Dynamic Charge Matrix (DCM) technology enables the charging of 10 vehicles simultaneously. 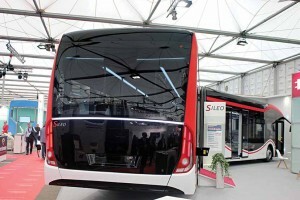 The 18 m S18 bus that Sileo displayed, has a 400 km range, and is powered by a 450 kWh battery pack. It can seat 136 passengers, and consumes 1.1 to 1.3 kWh per km. 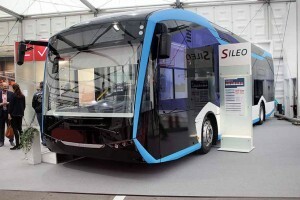 Sileo, at the show, also showcased energy efficient heating and air conditioning solutions for the electric bus range. Solaris Bus & Coach premiered the fourth generation Solaris Urbino 18 electric, Solaris Urbino with a serial hybrid drive, and Solaris Urbino 10.5. The Urbino 18 measures 18 m in length, and is a vestibule bus. It is fitted with a 240 kW central traction motor, and has a battery capacity of 240kWh. Charged by plugging-in or via a pantograph, the vestibule bus can seat 140 passengers. The Urbino hybrid bus uses a BAE HybriDrive, and can recuperate kinetic energy under braking. 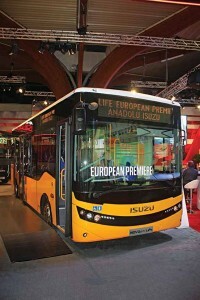 The Solaris Urbino 10.5 is powered by a 209 hp Cummins ISB6.7E6C engine, and measures 10.5 m in length. It can seat 23 passengers. 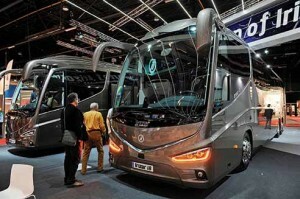 Displaying the i8, which won the ‘European Coach of the Year’ award, Irizar also showcased the 6s and i4H (hybrid). 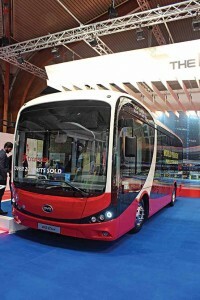 It also displayed a 12 m (ie) electric city bus and a 18 m (ie) trambus electric. 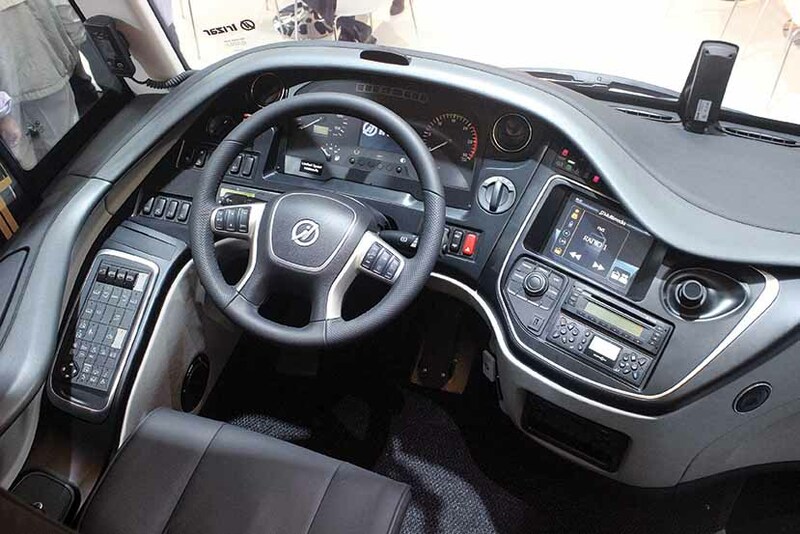 The new virtual cockpit that Irizar displayed with a 12.32 inch dynamic display attracted a lot of attention. Keen to offer custom made coaches that provide the driver a comfortable working environment, Irizar is working on new engines. It is also working to optimise cooling, and on a new steering pump to achieve superior fuel savings. The company’s emobility subsidiary is working on integrated electromobility solutions. 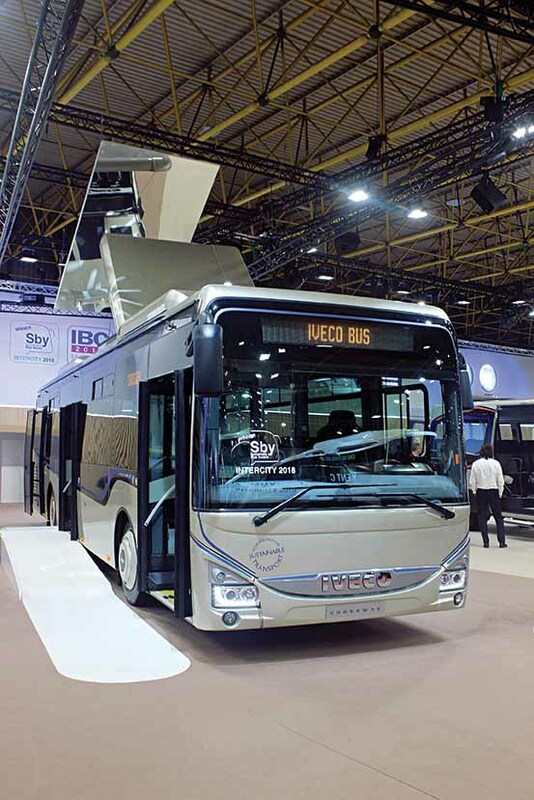 The new plant Irizar has commissioned in Spain, will build 1000 units per annum. Van Hool of Belgium manufactures approximately 1,400 buses and coaches, and as many as 4,000 commercial vehicles annually of which 80 per cent are exported. It offers a complete range of buses for public transport for international markets, ranging from a 9 m midi bus to a 25 m double articulated low floor bus. 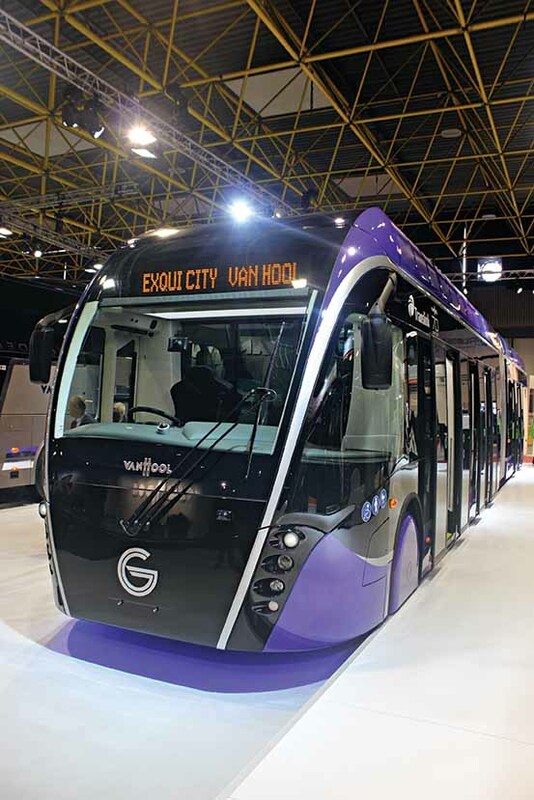 At Busworld, Van Hool unveiled a 18.6 m Exqui.City electric trambus (Glider vehicle) in the presence of The Lord Mayor of Belfast, Councillar Nuala McAllister. 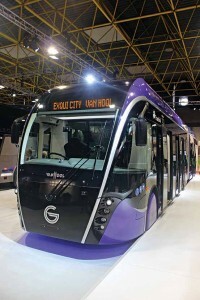 Designed for Belfast, the Exqui.City combines the flexibility of a bus with efficiency of a tram. It can accommodate 107 commuters, and has a range of 120 km. Van Hool also displayed a 14 m version of Exqui.City. Both the trambuses are engineered to run on electricity or hybrid (diesel-electric and CNG-electric) propulsion systems. The electric version is equipped with a 215 kWh lithium-ion battery pack. 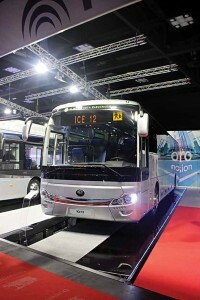 Van Hool also displayed the TX11 Alicron, TX16 Astron, TX17 Altano, TDX27, EX16 M, EX15 H and EX17 H at the Busworld. Cummins Inc. reiterated its ambition to become a powertrain provider of choice. 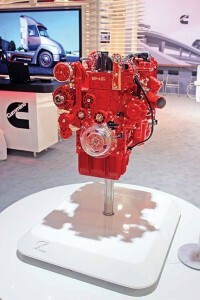 The engine maker displayed diverse solutions – from diesel hybrid to fully electric powertrains. 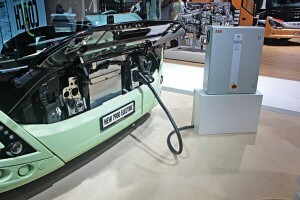 A fully electric powetrain that Cummins displayed, could be employed in either a full Battery Electric Vehicle (BEV) or a Range Extended Electric Vehicle (REEV). A REEV combines battery power with a compact engine generator, and is aimed at buses that ply over longer distances, and well beyond the availability of city charging. A battery pack of three enclosures (210 kWh) can provide a zero-emission range of up to 135 km in REEV. Evaluating battery lease programmes apart from the production of complete powertrains and ancillaries by 2019, Cummins is also looking at opportunity charging technologies.